... like this one. 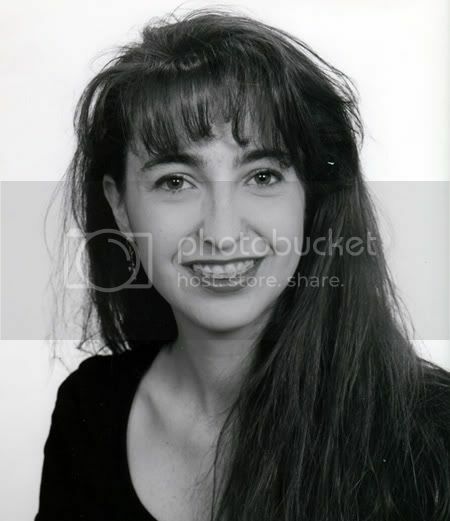 I kid you not: this was my head shot, and for a good long while. Don't bother listing all the things that are glaringly wrong. I already know. Do understand, though, that at the time this was taken, black and white was the ONLY option. Color headshots were but a dream; headshots with any personality? Crazy. CRAZY, I TELLS YA! In a nutshell, I am old. And even in my days of pre-creaky/ancientness, I had enormous eyebrows. Some things never change. I feel: sorry... what now? Black and white shots speak of class, of self possession and poise. Guess I'm old fashioned, too. I like your eyebrows. :) They are much like my own.